This auto soap dispenser head allows you to place it in any soap bottle. 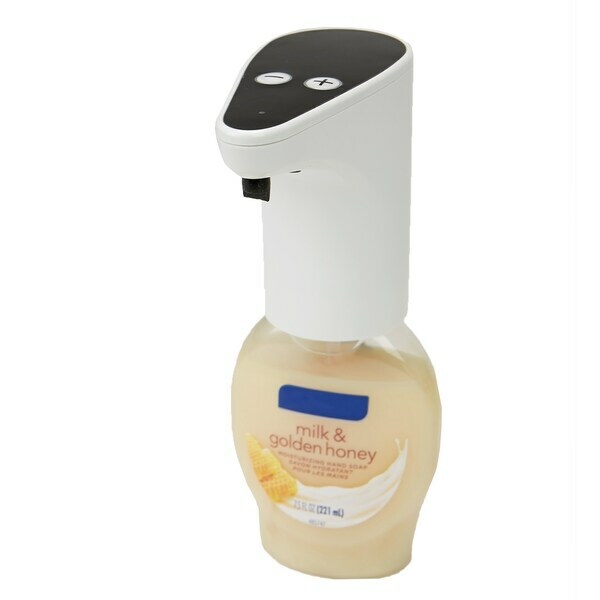 If you are not fond of getting germs spread around the kitchen or bathroom, just get this soap dispenser head (only) to prevent that from happening. Just place your hand under the sensor and out comes the soap. There is even a plus and minus sign on the top if you need more or less soap to come out. Dimensions 2.2 In. X 4.72 In. X 4.06 In.